SCROLL TO THE BOTTOM FOR SOME OF THE AUCTION ITEMS. Scripture says to mourn with those who mourn and to rejoice with those who rejoice. As people, and especially as a group of Christian (Called out ones) people, our hearts are drawn to this sister who has been through more than we can imagine or even fathom! Mary Robey Koch entered the hospital with the hope of delivering her first child and the joy this would bring her and her husband. After delivering her healthy son Cooper Mary contacted Sepsis and was thrown into a fight for her life! 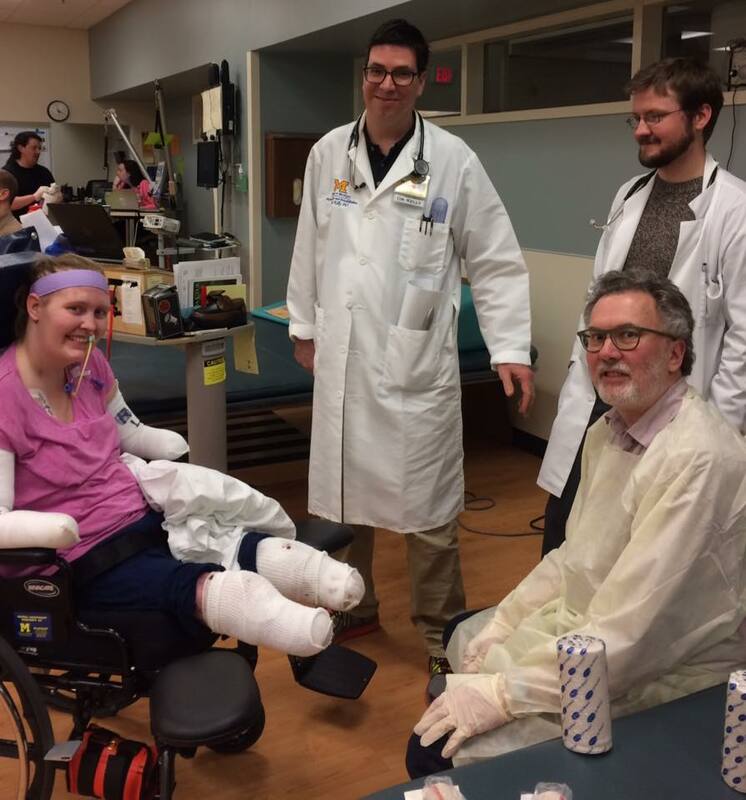 Her extremities were under attack and within two days of delivery her feet and lower calf were amputated. Muscle and infected dead skin were also removed as the doctors at the University of Michigan raced to save her hands! Prayer warriors were called upon to stand in the gap for Mary. It was not to be so as two days after loosing her feet Mary lost her hands! Unimaginable nightmare for this young first time mother, her mom and dad, and her inlaws! 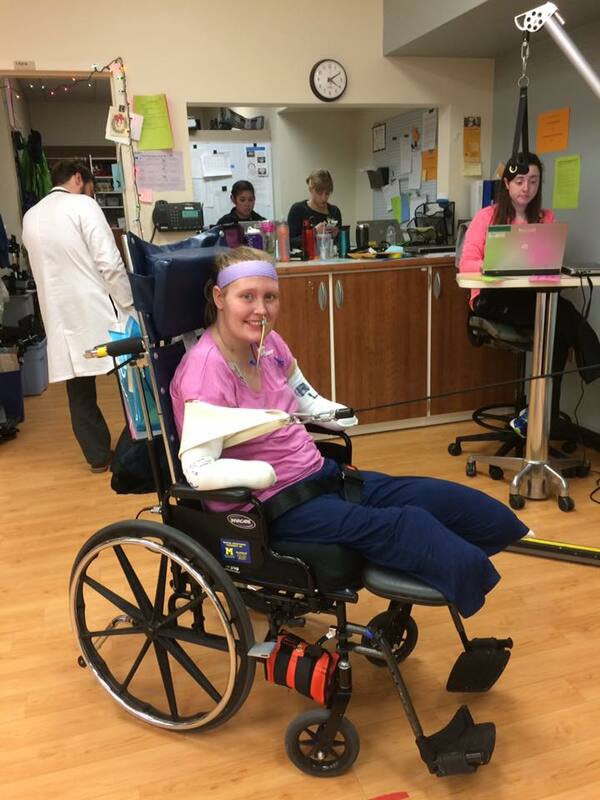 Mary spent seven months in the trauma burn unit at the U. of M. hospital, and has been home for a month now. Mary has a long road ahead of her with therapy, prosthetics, Dr. appointments, and caring for her now 8 month old son! Of course Mary has had her "down" moments, but her faith remains strong as she puts her spiritual hands to the plow and moves forward with grace, strength, and dignity! Mary has had a lot of support from her family and friends, and that's where we come in at Redeemer Fellowship. We believe in the Church as the wider body of those who have been saved and sanctified by the sacrifice of Jesus. Mary is a fellow sojourner on this road leading to the Celestial City. It is our Christian honor to help her along the way! Mary and her family have many needs, and one of the most pressing is monetary. We (at Redeemer) are planning a Dinner/Auction in order to raise funds toward those needs. I (we) want to partner with this sister and her family in a show of Christian unity and support. Of course we welcome help from all people of good will and compassion toward this cause. The time is fast approaching when we will collectively bring forth a sacrifice of praise as we fellowship around a meal and auction/fundraiser in support of Mary at Redeemer Fellowship Church in Monroe. The date is May 13th. with auction viewing at 4:00 p.m. and dinner at 5:00 p.m. Live auction to start after dinner. Silent auction bidding will start upon your arrival. Two separate dinners will be served. The wild game dinner is $15.00 dollars for adults 13 and up and $8.00 dollars for those 12 and under. 4 and under free! The alternative dinner will be a simple hot dog, sloppy Joe, potato chips, dessert, and drink dinner for $6.00 for adults and $4.00 for children 12 and under. In order to have a smooth operation it would be so helpful if we can have a "head" count as to who will be attending so the proper amount of food can be prepared. Auction items are still being accepted, as well as desserts, or a special "wild game" dish you would like to prepare! Monetary donations are also greatly appreciated. Call Mike Ansel at 734-241-3329 home or 734-770-4660 for information. Lets make this day before Mothers Day a time of rejoicing for Mary and her supporters! These are just a few of the items that will be up for auction at the Mary Robey Koch dinner/auction. George Foreman grill, Fit-Bit watch, quilt stand, cordless tools, lamp, golf clubs, tackle box, hunting stuff, casserole set, 12 vases, snow-blower!